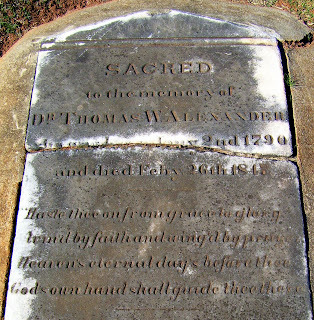 God's own hand shall guide thee there"
Dr. Thomas Alexander was a son of Maj. John Alexander, who was written about in this space a few days ago. As we well know, sometimes an epitaph is just a nice sentiment or catchy phrase, and does not really tie directly to the individual being memorialized. 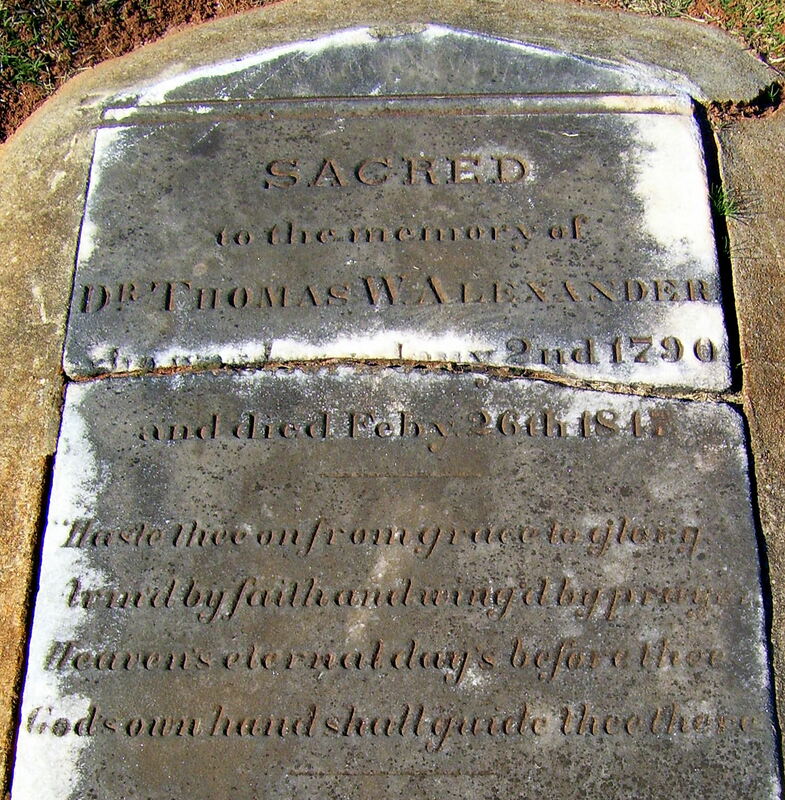 In the case of Dr. Alexander, however, the verse really does seemingly reflect he and his personality. I'll fill you in on that by posting his slightly lengthy obituary tomorrow.